Click image to watch the trailer, learn about and order the video. Mother Art, a collective of women artists, dedicated to creating social-political art, was most active during the 1970’s and 1980’s. 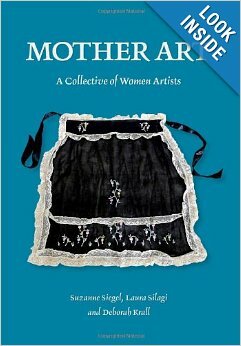 By gathering women’s personal stories and crafting them in such a way as to incite collective action and interventon, the collective personalized issues, such as the social invisibility of maternal labor and the impact of the lack of socially supported day care on professional practices of working artist-mothers. They went on to create installations and public performances dealing with those women marginalized from society, including immigrant mothers, women who faced abortion when it was illegal, homeless women and more. All the topics they dealt with came from a desire to create a social practice that could reach beyond the confines of traditional art spaces. All the issues they explored are still relevant today. In 2012 Mother Art created a video of their history. This 40-minute documentary tells of the odyssey of the collective from youth through middle age as they created art installations in galleries and public spaces, were vilified by conservative politicians and perservered to speak truth to power. In 2000, Mother Art had a retrospective, and since that time, have been included in a number of important exhibitions focused on women and women’s art collectives. Mother Art has published a book and produced a video about their collective art practice.